For both students and staff, the beginning of the 2017-18 school year was not quite as expected. We had a visitor named Irma that was intent on making our start anything but smooth. Irma did present us with some challenges, but our students stood tall and persevered through it all. We have also seen more student engagement this year through face-to-face events that included college tours, local meetups, giving back events across the state, Grad Bash, and a school-wide field trip to Universal Studios, to name a few. All of this on top of our other clubs and groups that meet and compete throughout the school year. And let’s not forget our academics. We have seen an increase in the number of Advanced Placement and Dual Enrollment courses being taken this school year. 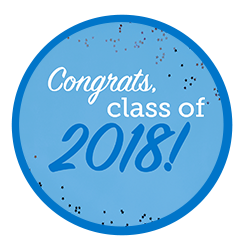 I would also like to say congratulations to the Class of 2018. This amazing group of young men and women have lead the way this school year and the 690 graduates make up one of our largest classes ever. This class can truly change the world. They have demonstrated all the qualities that will take them far in life. They have shown they care about others and have a passion to help those in need through canned food drives and community service projects. They are athletes, community leaders, dreamers, entrepreneurs, performers, scholars, volunteers, and more. They will do great things in this world at a time when their compassion and vision are needed most. As we look ahead to the 2018-19 school year, I want to again thank the Class of 2018. They are leaving their legacy with the work they have done and have also left us with great ideas on how we can continue to build on that work. They recognized that relationships strengthen our school. Next year is going to be an exciting school year as we continue to find ways to build those relationships and the community aspect of our school. There will be new learning opportunities for all of our students. The Class of 2018 left big shoes to fill as well as a senior survival guide they created for the upcoming seniors, but from what I have seen, the Class of 2019 is ready to step in and forge ahead. This entry was posted in Full Time Edition, Student Edition and tagged Class of 2018, FLVS Full Time, FLVS Graduation, Graduation, Online School Community, Principal's Message, Student Activities, Student Success on May 24, 2018 by Guest Blogger. Thank you so much for giving me the opportunity to go to Flvs! I love this school so much! But, I’m so happy to finally graduate😁 and 690 graduates? !